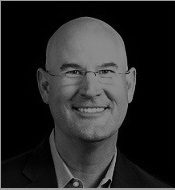 STAN PHELPS is Advisor to DAMSON Group on Goldfish Customer Experience series, the Founder of PurpleGoldfish.com, a think tank of customer experience and employee engagement experts based at the Frontier in Research Triangle Park. He is a TEDx speaker, Forbes contributor and IBM Futurist that inspires leaders to think differently about their most important stakeholders. Stan's keynotes and workshops focus on the value of customer experience as a competitive differentiator and the importance of employee engagement in building a strong corporate culture. He has spoken at over 250 events in 15 countries (US, Canada, UK, Spain, Ecuador, Peru, The Netherlands, Russia, France, Germany, Australia, Bahrain, Malaysia, Israel and Sweden) for Fortune 500 brands such as IBM, Target, ESPN, UPS, and Citi. Stan challenges brands to explore new opportunities, showing them how to be more successful in tomorrow's changing world. Working with clients to create keynotes and workshops that are memorable, meaningful and on-brand. He is the author of six books: The Purple Goldfish, The Green Goldfish, The Golden Goldfish, The Blue Goldfish, The Red Goldfish, and The Pink Goldfish. Stan started writing and speaking in 2009 on the belief that "differentiation via added value" can be a game changing strategy. For far too long, the overwhelming majority of marketing has fixated on the eyes and ears of the prospect. Not enough has been focused on creating experiences for current customers that drive referrals. Great customer experience is about being so remarkable that people can't help but talk about you. That if you absolutely delight someone - they will not only come back, but they'll bring their friends. Stan received his BS in Marketing and Human Resources from Marist College, a JD/MBA from Villanova University, and a certificate for Achieving Breakthrough Service from Harvard Business School. He is a Past-President of the AMA Triangle, a 700+ member chapter of the American Marketing Association. He also currently serves on the Advisory Board for Special Spectators.